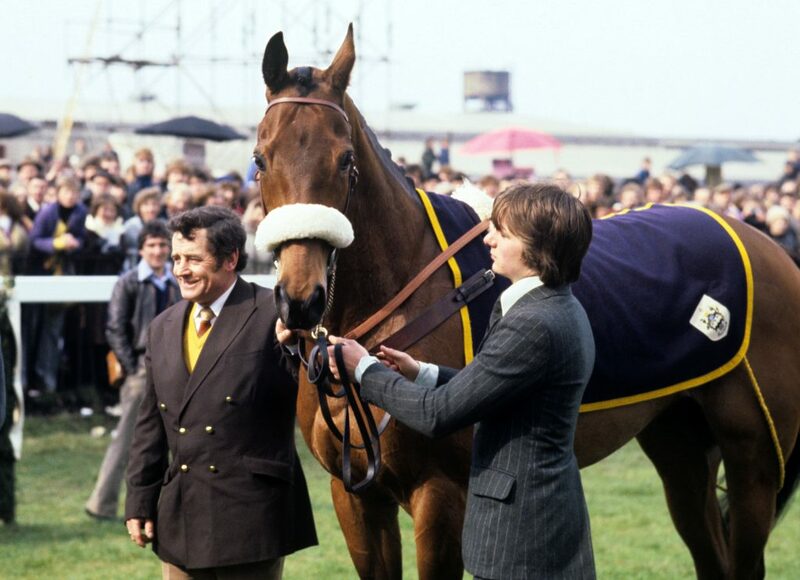 During his distinguished career, Red Rum established himself as the greatest horse to compete in the Grand National. No competitor in the history of the most prestigious meet in the sport triumphed more than the bay gelding. His total of three victories at the event are yet to be beaten in the 40 years since his retirement. Elite horses have attempted to match his accomplishment, but not a single one has managed to win twice. Red Rum stands alone in the history of the Grand National, arguably the toughest test of a horse’s pedigree. However, his record outside of the event at Aintree was not as distinguished, winning only the Scottish Grand National at Ayr Racecourse, while also notably losing to Red Candle at the Hennessy Gold Cup at Newbury Racecourse. There are competitors who boast a stronger resume outside of one race than Red Rum’s, which could give them an edge in the argument of the greatest National Hunt horse of all time. The Irish horse has the credentials to match Red Rum, although the two horses never crossed paths on the track. He dominated the decade before Ginger McCain’s charge, putting forward truly great performances on the big stage. Arkle was a legend of Cheltenham Festival, winning the Gold Cup three years on the bounce between 1964 and 1966. The bay gelding’s success resulted in the competition, renaming the Cotswold Chase, the Arkle Challenge Trophy in his honour in 1969. It was not just at Cheltenham Racecourse where he thrived. It’s truly a pub debate whether you would take Arkle or Red Rum in a head-to-head duel. Tom Dreaper’s charge also won the Hennessy Gold Cup twice along with single triumphs in the King George VI Chase, Punchestown Gold Cup and the Irish Grand National. Arkle did not compete in the Grand National and was put down at the age of 1970, with his last race coming at the King George VI Chase in 1966 where he suffered an injury in the early stages of the meet, but still managed to finish second – the hallmark of a truly great competitor. It’s truly a pub debate whether you would take Arkle or Red Rum in a head-to-head duel. David Elsworth’s charge could also lay claim to the crown. He came in the decade after Red Rum, notching multiple crowns on the big stage during the 1980s and into the first year of the 1990s. His level of dominance stretched across the decade, boasting a greater longevity over his two contemporaries. 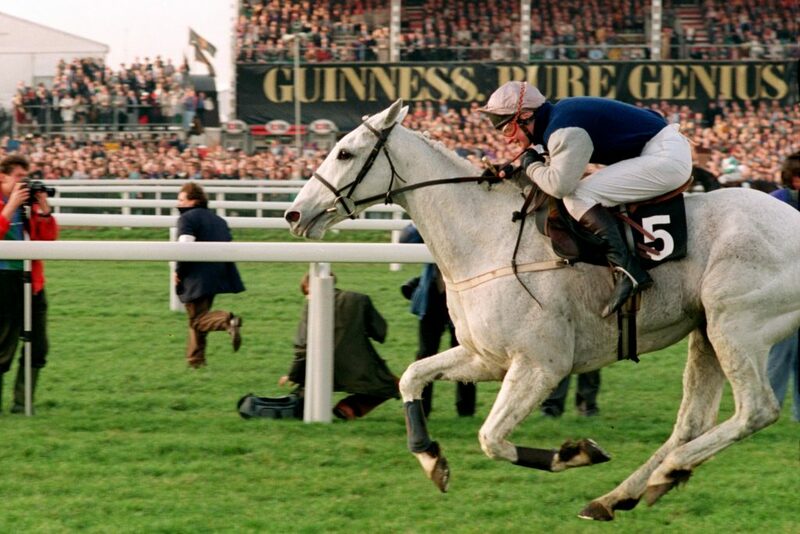 Desert Orchid was truly home at Kempton Park and his speciality, the King George VI. The grey gelding won the meet four times – securing three titles on the bounce between 1988 and 1990 after notching his maiden crown in 1986. Only Kauto Star eclipsed his feat, highlighting his dominance during his career. Only a race between them could settle the debate. Unfortunately, it’s one we’ll never get to witness. Desert Orchid was also part of an elite group of horses to win the Gainsborough Chase three times, following in the footsteps of Mill House and Burrough Hill Lad. He claimed the Cheltenham Gold Cup in 1989 and was only denied a second victory on the bounce by a stunning performance from outsider Norton’s Coin. However, in the same campaign, he added the Irish Grand National and Racing Post Chase to his collection of crowns. It’s a matter of splitting hairs between the trio of horses. Only a race between them could settle the debate. Unfortunately, it’s one we’ll never get to witness.